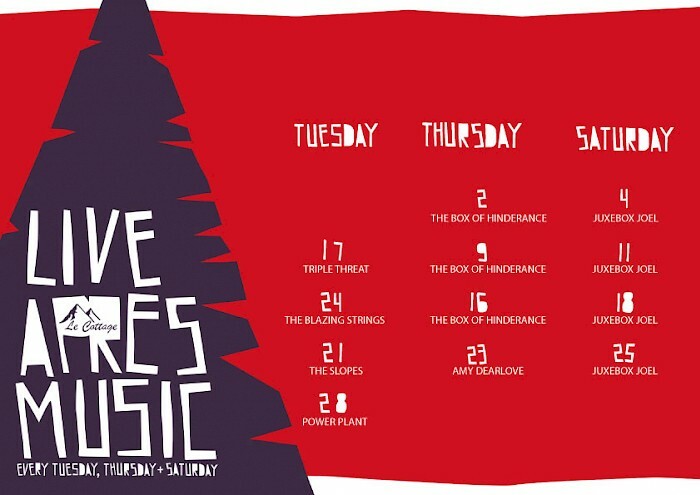 This February we’re bringing you an awesome line up of weekly après events at Le Cottage. Situated at the bottom of the Pleney, Le Cottage is conveniently located in the centre of town right by Morzine’s ski slopes. So pop by, listen to some great live music and enjoy a well-earned drink – or two! Rumour has it Le Cottage even has a shot ski….